This graphic outlines the 12 steps to going to the bathroom. This may be the most simple implementation of a process checklist I’ve seen. 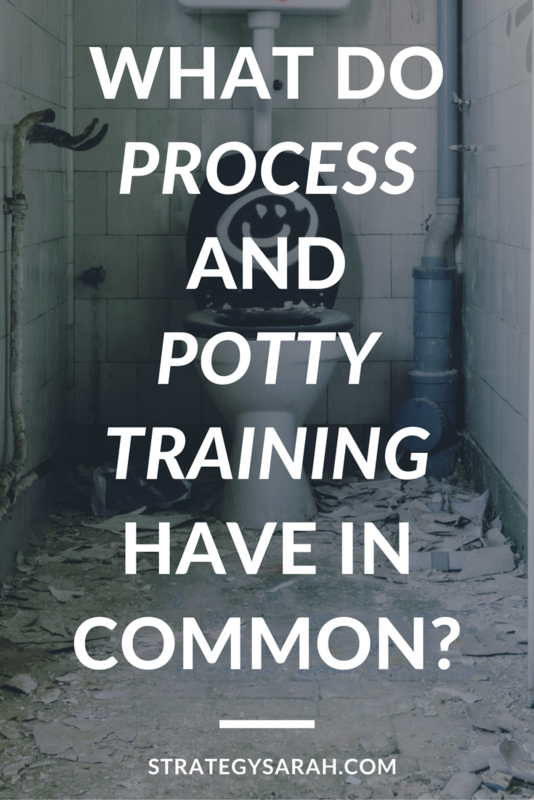 Yes, I know, parents, you’re likely groaning as you think of potty training. Non-parents, you may think I’m crazy, but stick with me. I promise there’s good stuff ahead. 1. Process exists in every single aspect of our daily lives. Process is everywhere, not just in our work environment. We talk more about routines at home than we do about process, but it’s the same thing. It’s not scary, it’s routine. 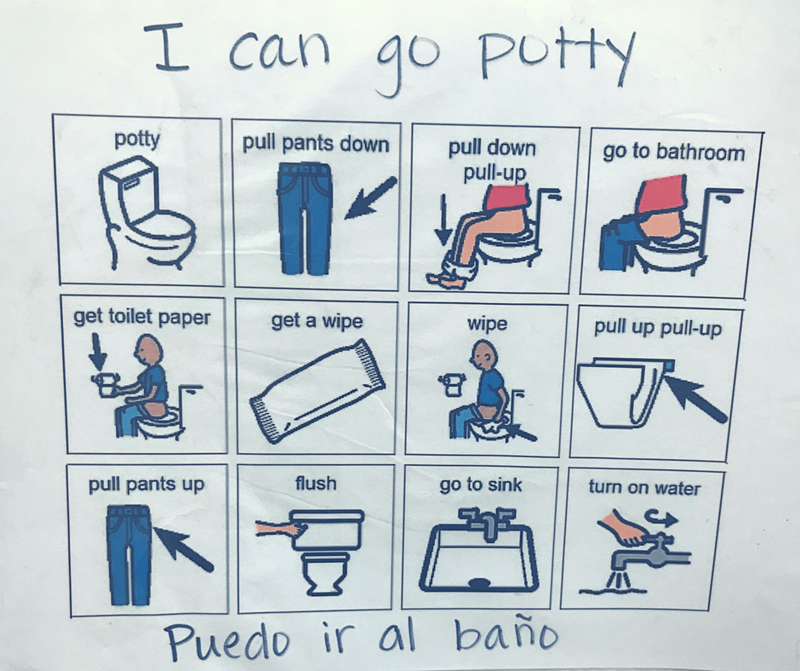 This potty training example is clearly an effective tool for teaching young children to go to the bathroom. It breaks the process down into manageable steps. It’s repeatable. It’s picture oriented, which is age-appropriate. 2. Every process has room for improvement. The reasons a process needs improvement vary. Some processes need more clarity to be easier to follow. Some processes could be more efficient by cutting out unnecessary steps. Some processes need revision because the process, technology or inputs have changed. From a clarification and easier to follow standpoint, I would recommend that the “get toilet paper” and “get a wipe” steps be an either/or, not one following the other. To complete the process, the remaining steps to washing hands should be added. 3. The level of detail in any given process naturally changes based on our experience level. 4. Clear, repeatable process gives us the freedom to do our best work. 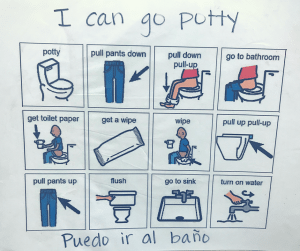 The child who doesn’t need to think about how to go potty can quickly accomplish the task and get back to the more important things like playing. As adults, everything we do has an underlying routine or process. Yes, it’s harder to find the underlying routine or framework in some situations, but it’s always there. Even the most creative work can be broken down into an idea, a starting point, doing the work and wrapping it up. Process and systems absolutely should have the fluidity to match the situation. We’ve learned that process, systems and checklists matter. Checklists take the guesswork out of any repeatable work that gets done – regardless of how mundane, critical, low-key or high stress that work is. What can you create a checklist for today? If this is your first checklist, find an area that works fairly well, but one little thing tends to get forgotten or not go quite right. 1. Write down all the steps that need to happen to get the work done. 3. Save or post the checklist somewhere prominent, and use it every time the process is done. Now that you have the tools you need to create your own process checklist, I would love to know you take action and make it work for you. 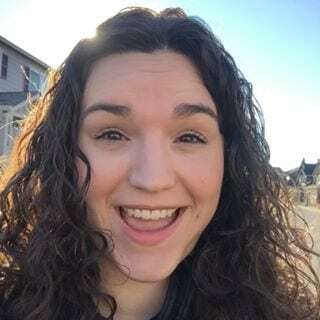 Send me an email at sarah@strategysarah.com and let me know how it’s working!